A vibrant red colorway of the Hyperdunk 2012 Low is now available. A vibrant red Hyperdunk 2012 Low hits retailers with this 'University Red/Street Grey-Bright Crimson' colorway. This Hyperdunk Low from Nike Basketball features a "University Red" Hyperfuse upper with accents in "Bright Crimson" and "Street Grey" Swoosh. 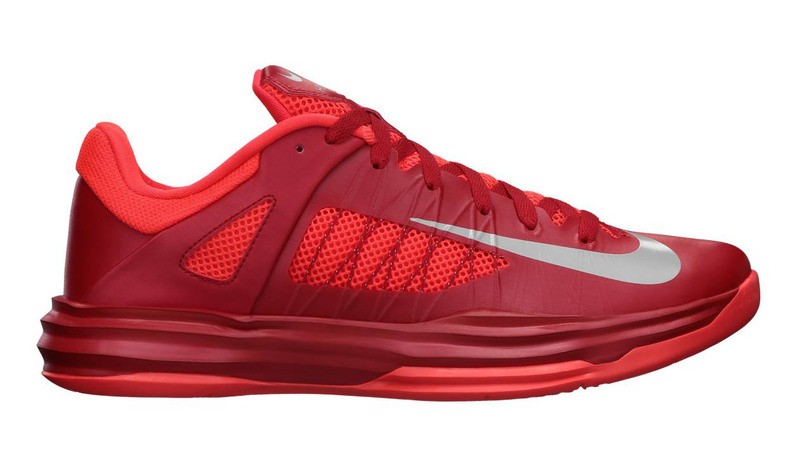 It all sits on a University Red Lunarlon midsole and Bright Crimson outsole. You can pick up this Hyperdunk 2012 Low at select Nike Basketball retailers and online from Nike Store now.